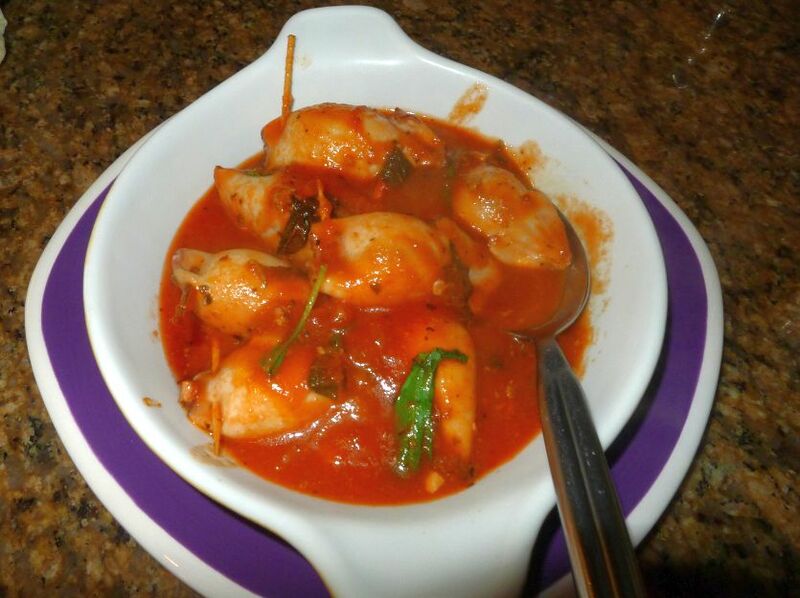 This is a very simple dish to serve but it is sure to please your palate. 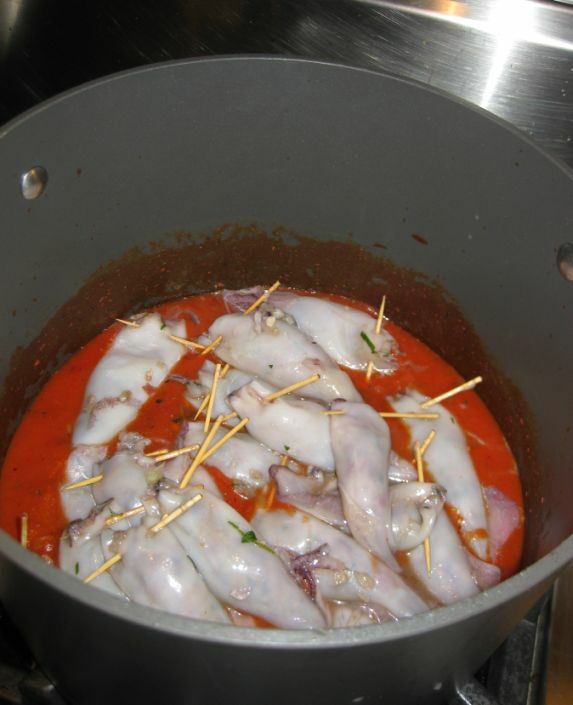 The squids are stuffed with chopped shrimps, chopped tentacles, lemon zest, bread crumbs, parsley, sautéed onions and garlic and then simmered in Marinara Sauce. 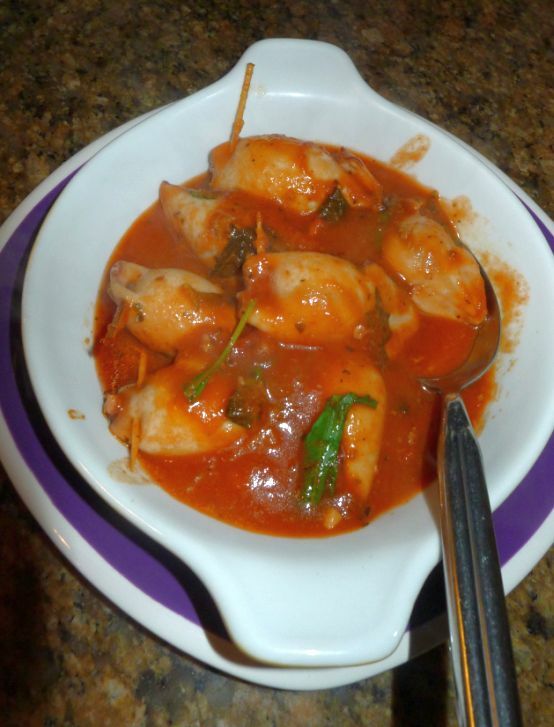 You can serve this dish with lots and lots of bread as an appetizers or you serve them as a completed meal by serving them with pasta. Either way they are delicious. 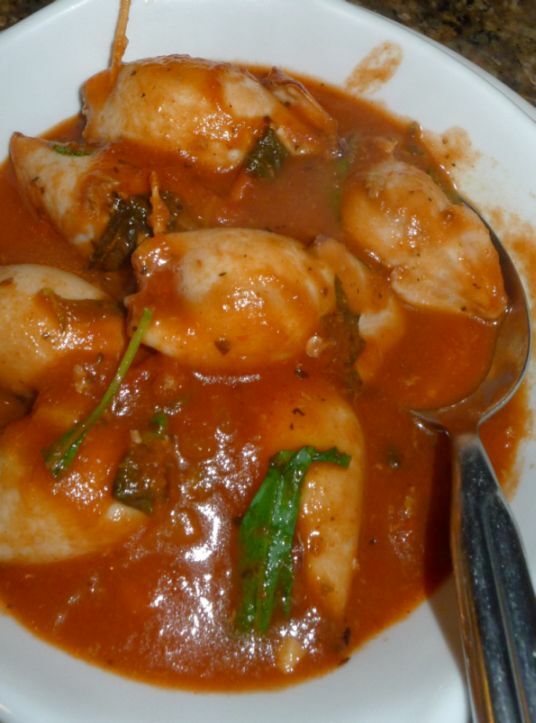 I kept this recipe simple by using store bought marinara sauce but if you are more adventurous you can also make your own sauce. 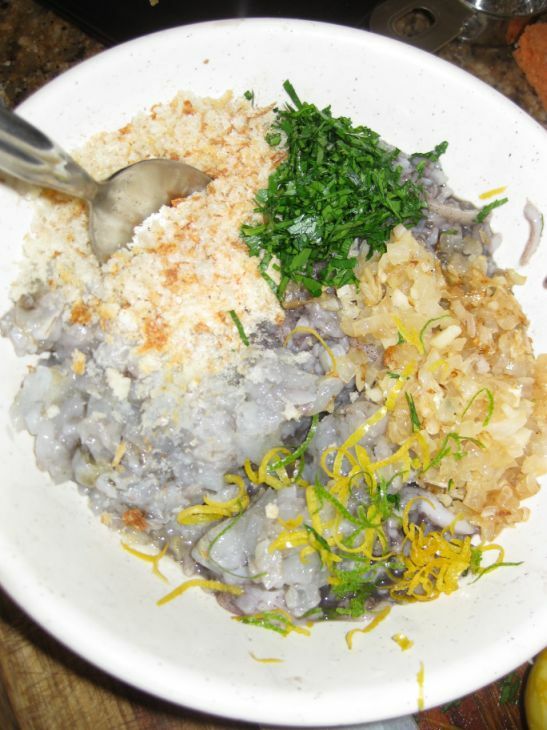 This dish was part of my small plates dinner party and all friends really enjoyed it. 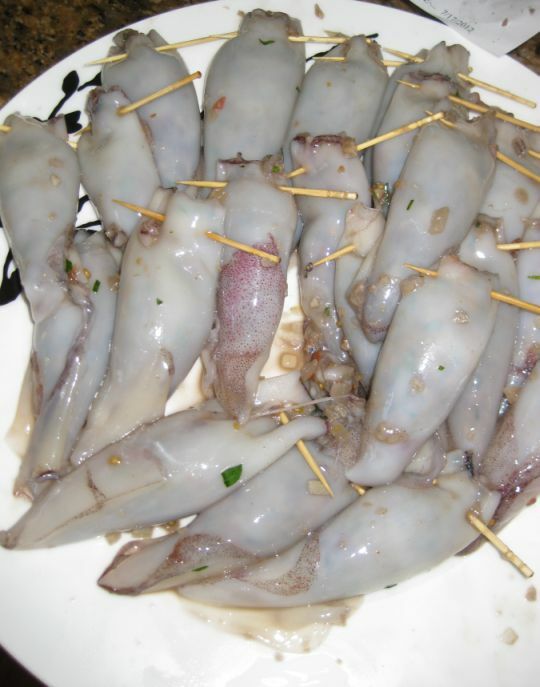 The squids shrank a lot from their original size so if you are making a full meal make sure to double the recipe. 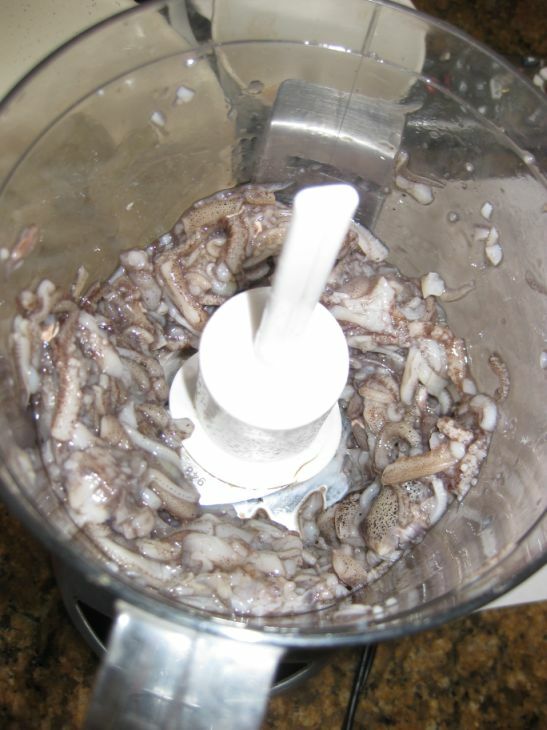 Clean the squid thoroughly and remove the head from the tentacles and discard the innards. 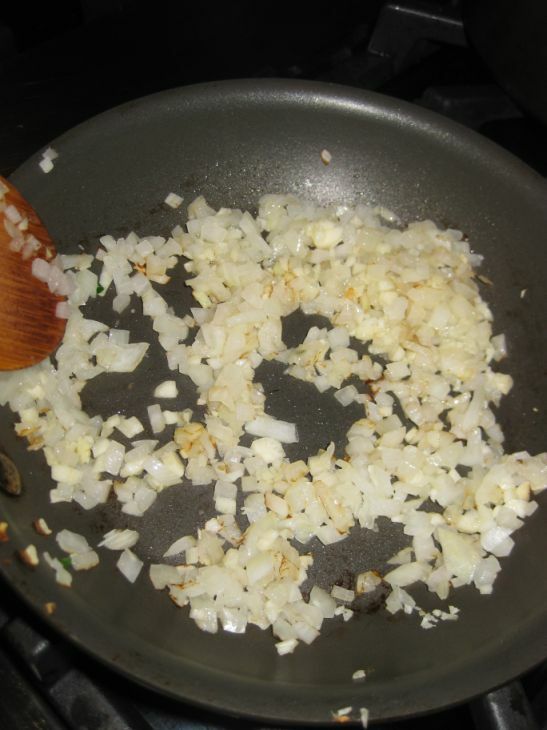 Peel the shrimps and set aside. 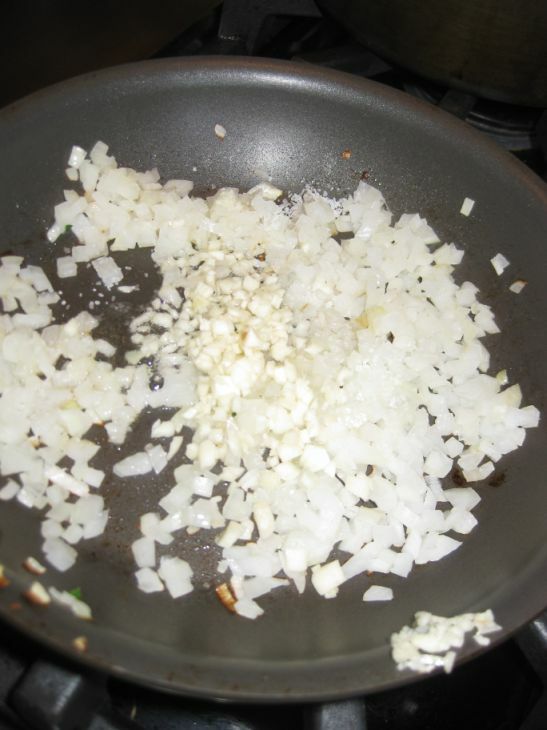 Keep stirring until the onions turn translucent. Set aside. 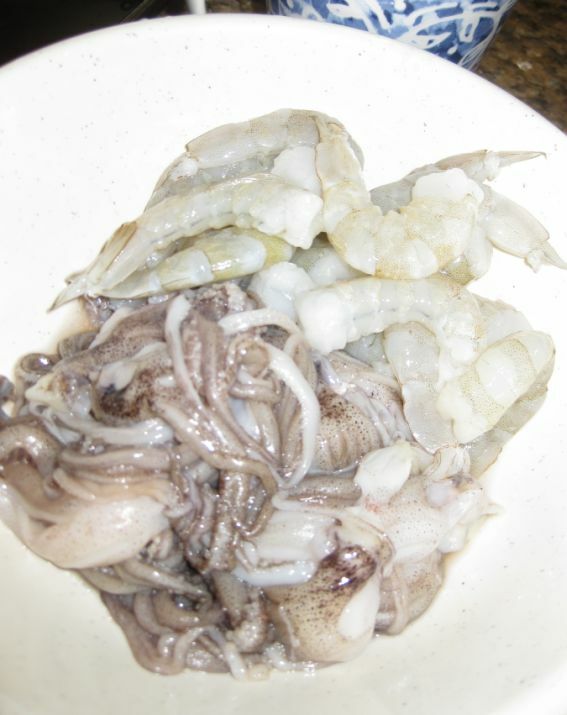 Put the tentacles and peeled shrimps together in a bowl. 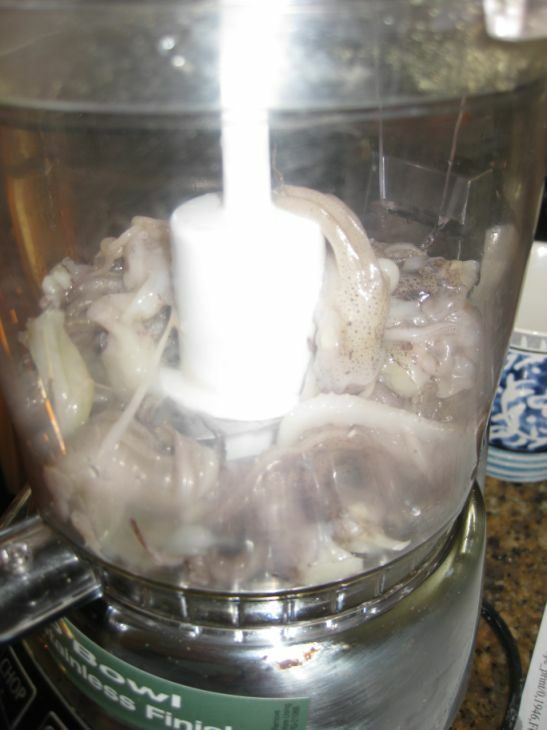 First put the tentacles in a food processor. 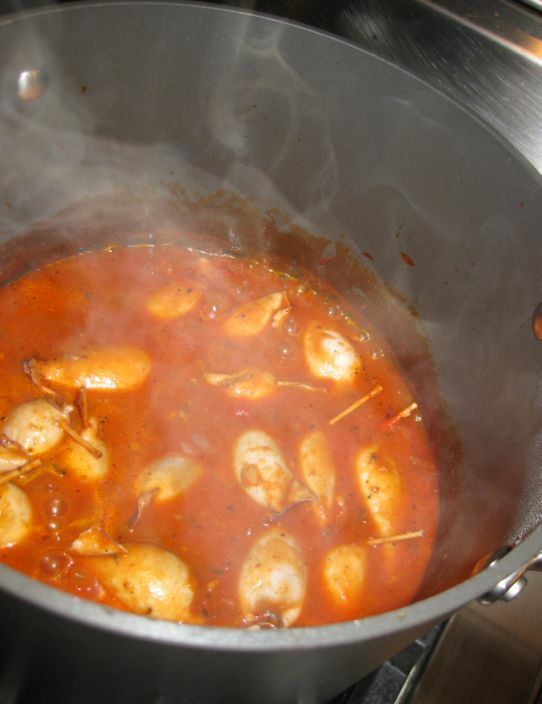 In a bowl put the chopped shrimps, tentacles, bread crumbs, parley, thyme, lemon zest, the chopped tomato. Stir until well combine. 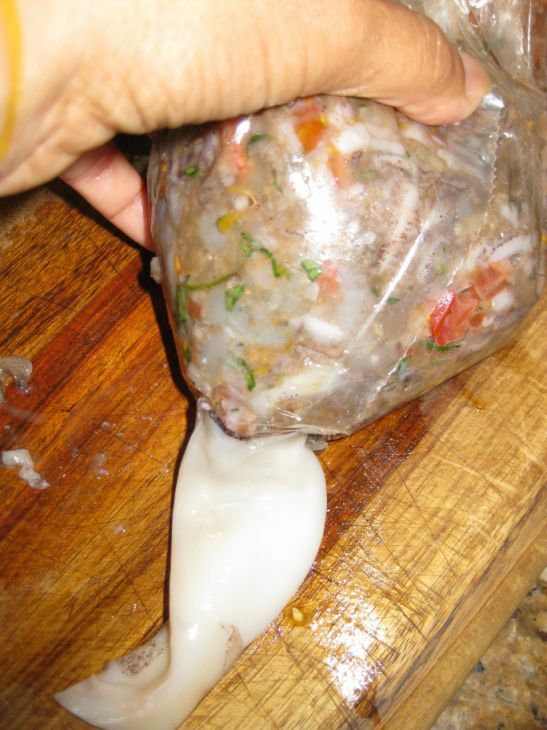 Put the mixture into a re-sealable freezer plastic bag and snip off 1 corner. Pipe the stuffing into the squid tubes. 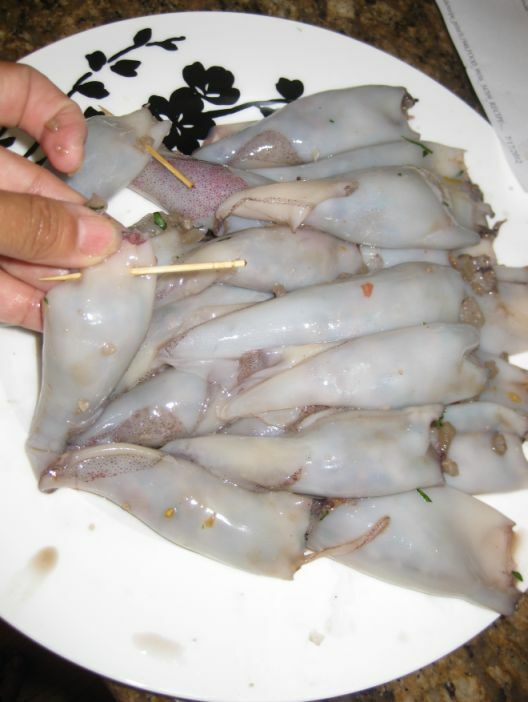 Do not over-stuff because the squid will shrink. Seal each tube with a tooth pick. 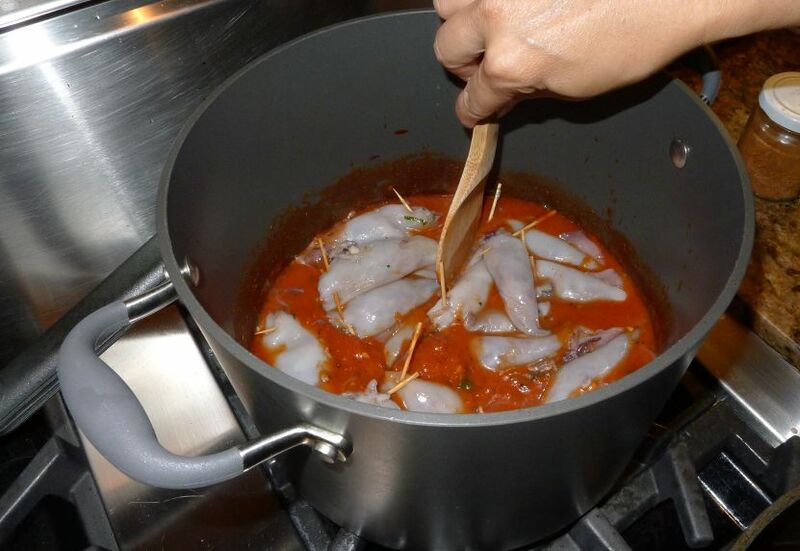 Pour the store bought Marina sauce in a large pot and place all the squid on top. On medium heat bring the pot a boil. 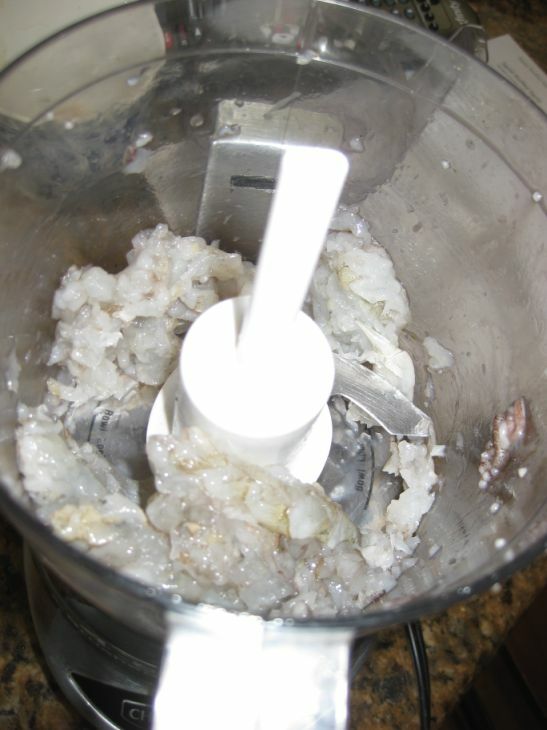 Once it reached the boiling point lower the heat to low and let the squid simmer for about 4 to 5 minutes. 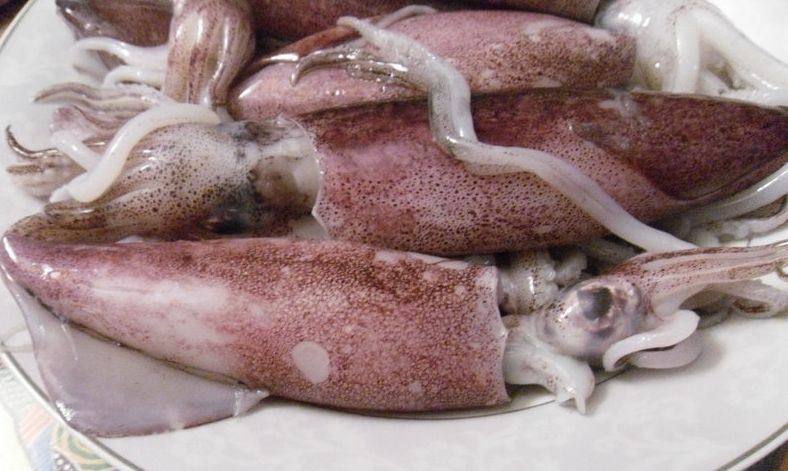 The squid will shrink to about half of their original size. Serve immediately.